Great projects! 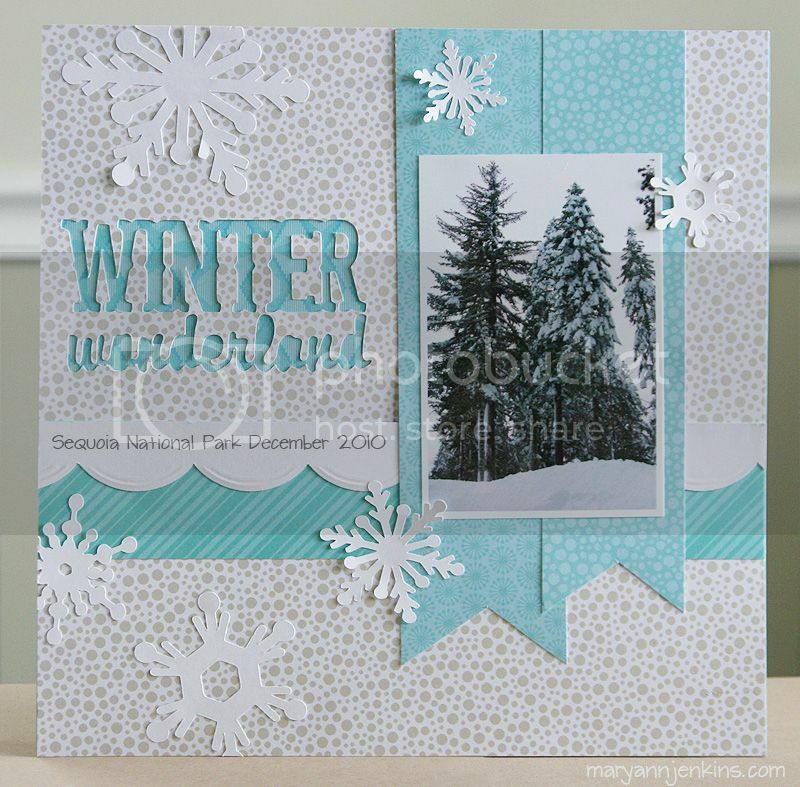 I especially love the winter layout! It just screams snow and cold to me. I even have those papers, and haven't thought to break them out for winter layouts, I will need to fix that! These are both GREAT, Mary Ann. Love the negative title work on the layout. Beautiful! I love both of these projects. I love the how the colours really capture the feeling of snow in your first one. I love the negative title too. Love, love, love the winter tree layout. 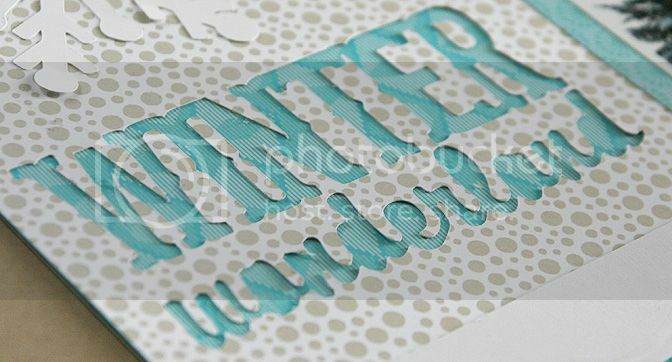 LOVE the negative title words and those great snowflakes!!! SOOOOO pretty. You santa card is gorgeous. I love your first project with the negative cutout....I have to remember to do this. Awesome. LOVE your winter layout, its beautiful! Your projects are breathtakingly beautiful. Mary Ann, your layout is STUNNING!! Love that mix of colors and it feels so wintery!! I am guessing your broke out your new Cameo for the title and the snowflakes!! :) And you card is so pretty!! Love the vintage Christmas look! 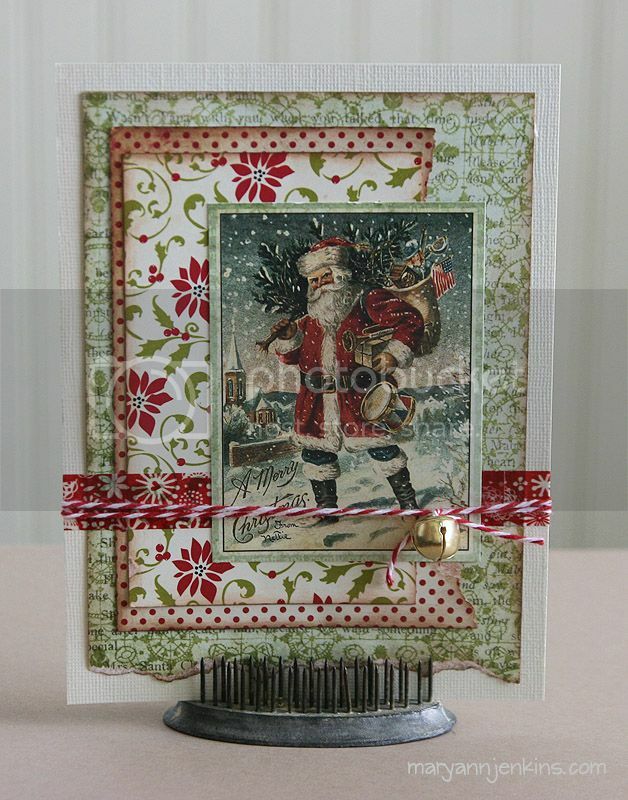 saw the Christmas card on ScrapScene today! Love it!